The challenges to meet rising demand for chocolate in consuming markets such as North America, Asia and Europe are daunting. Cocoa is grown on plantations concentrated in a small number of developing countries across Africa, Asia, Central and South America. Production is fragmented among many small family farms whose owners typically earn a subsistence living below the poverty line. The condition of cocoa farmers, the disparities in the distribution of value across the supply chain and the supply-demand imbalance pose significant concerns. The solution requires the involvement of everyone who loves chocolate. Many cocoa farmers and their families still live in extreme poverty with limited access to basic services such as health, education or clean water. The remoteness of some farming communities means that only the most fortunate children can attend school. Others must work alongside their parents and other family members to ensure survival. Only through a more holistic approach, will theses burdens be eased and farmers’ lives improved. Despite cocoa trees having the potential to produce up to 2000kg of cocoa beans/hectare/year*, cocoa farms are typically small and family-owned with an average productivity of 500kg/hectare/year. Every day, farmers must confront challenges such as pests, diseased trees, poor nutrition, and changes in climate. Many also lack basic training in modern farming techniques and harvest management skills. Combined, these challenges often result in lower prices being paid when they bring their cocoa beans to market. The struggle of cocoa farmers to earn a decent wage is also felt by their children, resulting in many potential next-generation cocoa farmers abandoning farming for other professions. Too often cocoa farmers are excluded from sharing in the profits generated across the cocoa supply chain. So stark is this imbalance that the average price of a single chocolate bar sold in a first world country will often exceed what a cocoa farmer earns in a week. For many cocoa farming communities, access to modern techniques and environmental practices that could help farmers increase their yields remains an unattainable dream. The result is that, even as demand for chocolate grows, the ability of farmers to supply enough quality cocoa beans will be threatened. 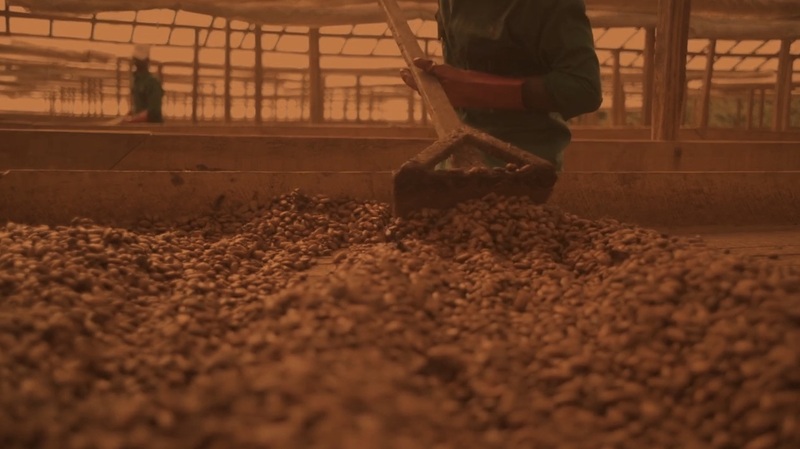 In Ivory Coast, Cocoa farms are typically small and family-owned, with the land often passed from one generation to the next. In the San Pedro region where Forastero cocoa is grown, the size of Cacao-Trace cocoa farms rarely exceeds three hectares (7,5 acres). Farmers work hard to keep their plantations clean, harvest twice a year, maintain soil fertility and, when needed, prune or replant their cocoa trees. They also grow vegetables and rice for food. Ivorian farmers who have more land often combine cocoa farming with or other cash crops such as rubber. Vietnamese farms often mix cocoa with coconut or local fruits trees such as logan, durian and pomelo. Vietnam’s local cocoa variety, Trinitario, hails from the Mekong delta as well as the Highlands and Lam Dong regions. These regions combine good climate with fertile soils. The fruit is harvested between March to May and then again from October to December. Like other cocoa-producing countries, plantations in Vietnam are small and family owned and require year-round care. In many cases, Vietnamese farmers can supplement their farming income with other work when cocoa is not in season, as their farms are often less remote. In the Philippines, it’s believed that cocoa was first introduced by a Spanish mariner around 1670. Since the start of 21st century, it is flourishing once again as promising crop for farmers to diversify their income, in addition to cultivating fruit. On the island of Davao, farmers have on average 5 hectares (12 acres). They plant their cocoa trees in synergy with the ecosystems in place, mainly coconut trees. The cocoa trees are of the trinitario variety, grown in big nurseries, then distributed. After 2 years, the trees are harvested, the cocoa beans are fermented in wooden boxes and dried under the sun following the highest quality standards.